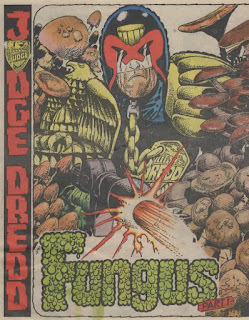 There’s a second Judge Dredd movie out just now, and this may have piqued the curiosity of some to read a Judge Dredd comic. 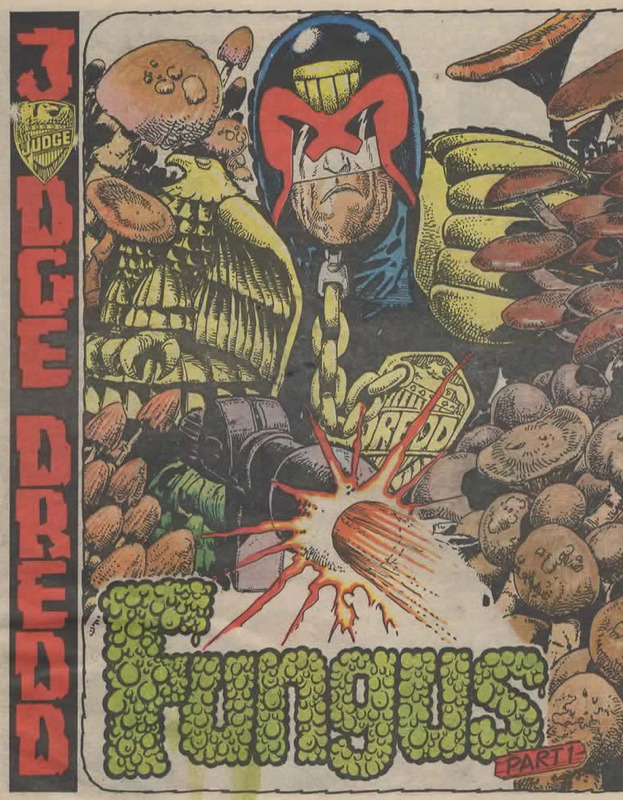 In order to aid those wondering which one to read, I am here to write about the best Judge Dredd comic ever made. 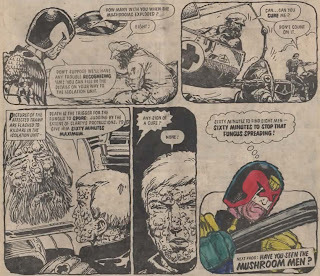 Fungus written by Grant Grover – the pen name of the Alan Grant/John Wagner team - and drawn by Carlos Ezquerra, my favourite Dredd artist. First a group of “foraging tramps” is infected with an infectous airborne disease in the wastelands outside the city. 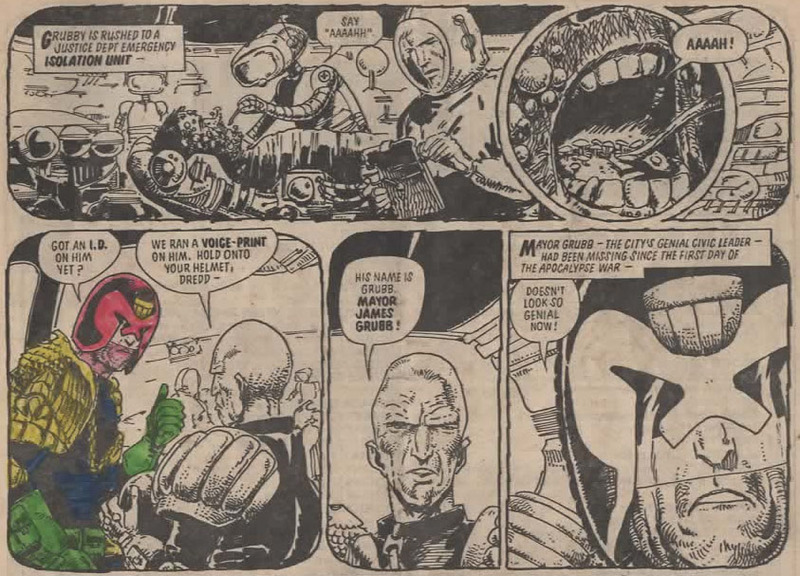 One of the group, Grubby, makes it back to civilisation, where he is apprehended by Judge Dredd. 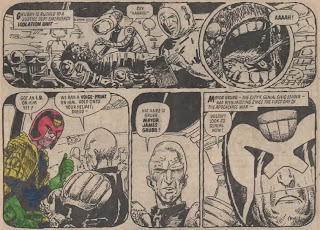 One of the infected is already known to Dredd and they have a showdown. The ending to the story is low key, heartbreaking and funny. The entire prog is brilliant, and I don’t think it’s just through nostalgic rose-tinted glasses. 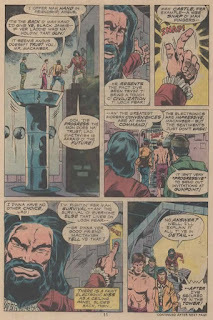 What a line-up: Sam Slade: Robo Hunter by Alan Grant/Ian Gibson; Rogue Trooper by Gerry Finley-Day/Colin Wilson; Ace Trucking Co. by Grant Grover/Belardinelli and Mean Arena by A.Ridgway/M.White. Great days to be reading comics as a kid. 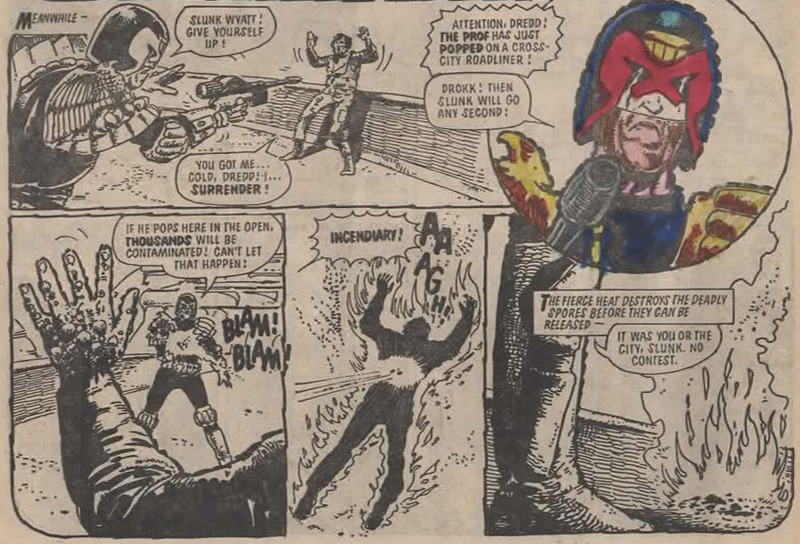 I’m sure I read somewhere that these comics (#275-277) were the biggest selling 2000ads ever. Didn’t see any fungus guys in the Dredd 3D trailer. Disappointing. 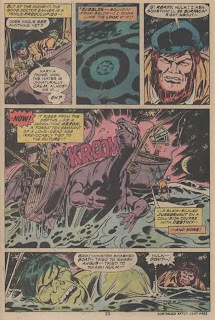 In 1975, The Hulk was trawled in Angus MacTavish’s net on Loch Fear. 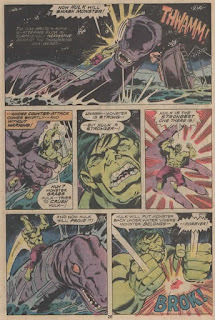 The fisherman in his surprise cried, “Och, mon---It is na’ possible--!” Hulk replied, “Let Hulk loose, puny human—or Hulk will smash!” Pretty soon, the Hulk had turned into Bruce Banner and gotten involved in a bizarre feud between MacTavish and a shady guy called Jaimie Macawber. In this sequence we have a castle and a kilt. The green one was later out on the loch again with MacTavish, when their boat was cut in two. The reader is treated to the Hulk retaliating by punching the (sort of) Loch Ness Monster in the face. The story makes no sense, a fact that annoyed Kim Thompson. 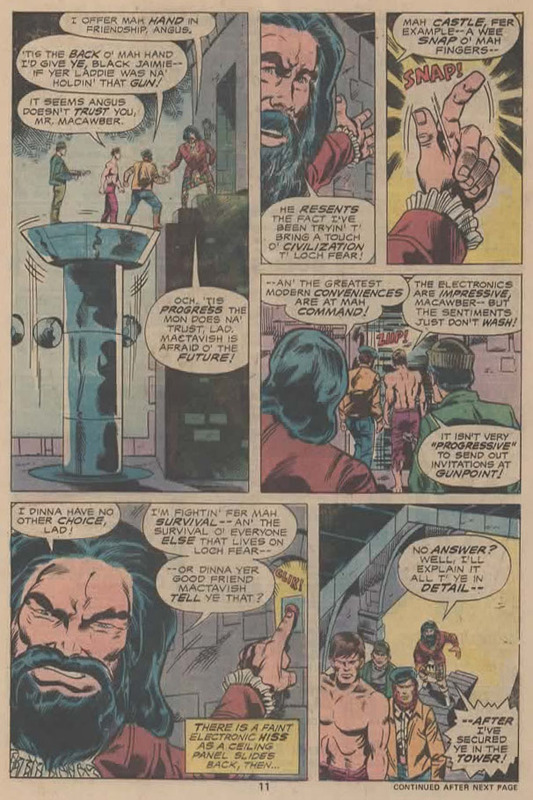 Now known for his involvement with the Comics Journal, back then he was a Hulk reader who had his letter published a few issues later. 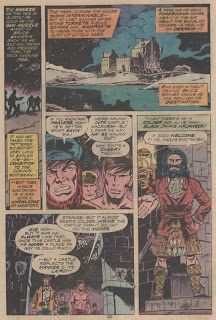 "The Lurker beneath Loch Fear!" 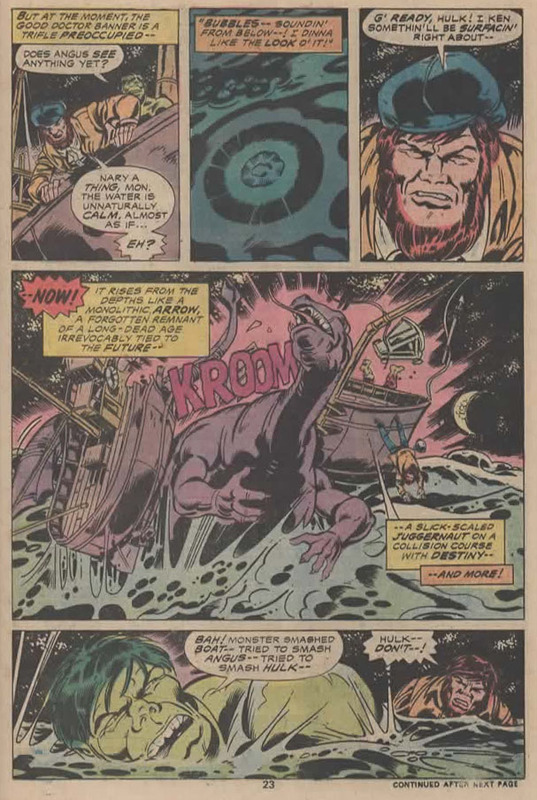 was written by Len Wein and drawn by Herb Trimpe. 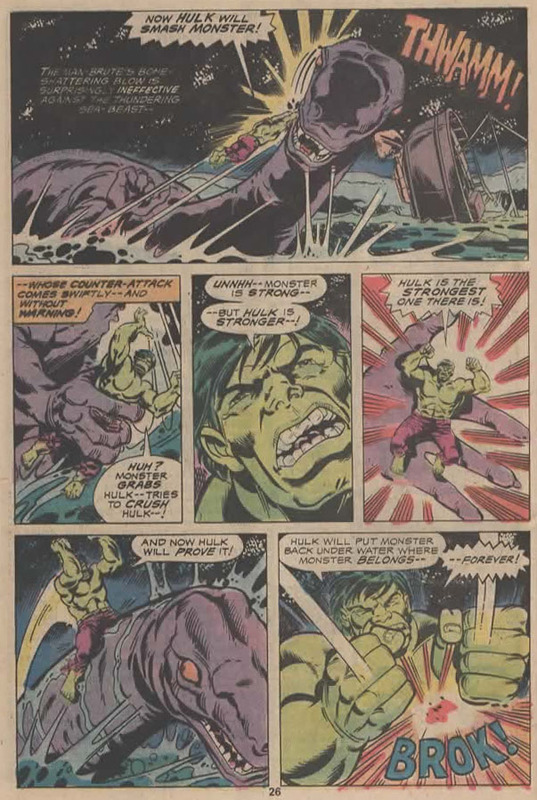 It was published as The Incredible Hulk #192.